I love it when I get to see what a customer has done with one of my cottages once it has left my care for pastures new. I always learn something or see an original take on styling a room I’ve previously created. 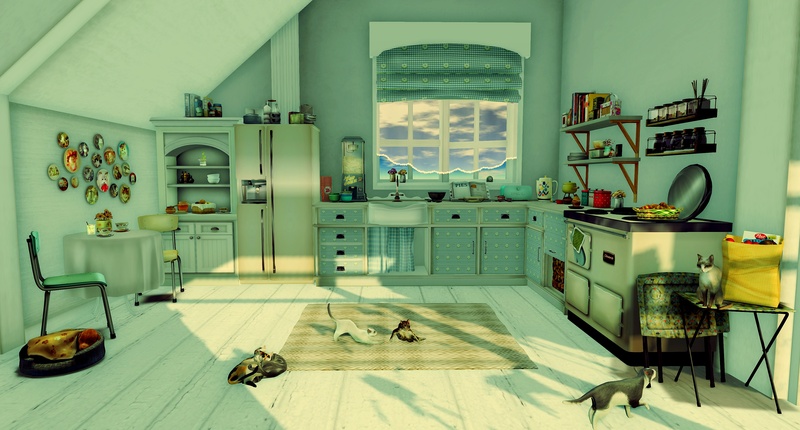 This time I am covering the work of one of my customers, Carmilla, who recently bought Fox Cottage and the matching Vintage Kitchen. Since then she has been taking her time in decorating each room to great effect and she’s not done yet! I thought I would showcase her ideas in the meantime and am excited about what she will come up with next. The photos in this post are by Carmilla herself to illustrate where she’s heading with her style plans. Although I do make some mesh furniture, my main focus is on creating low LI, high quality, original cottages. I concentrate on making bijoux homes as there are so many brilliant, furniture designers out there, most shoppers are totally spoilt for choice. The trend though for those who love styling their homes is definitely to shop around to pull together a collection of beautifully made pieces, from many different designers to create that unique signature look. Carmilla’s focus has been to fashion rooms which are warm, lived in, vintage and stylish. You can find all of the credits by following these links to her site! 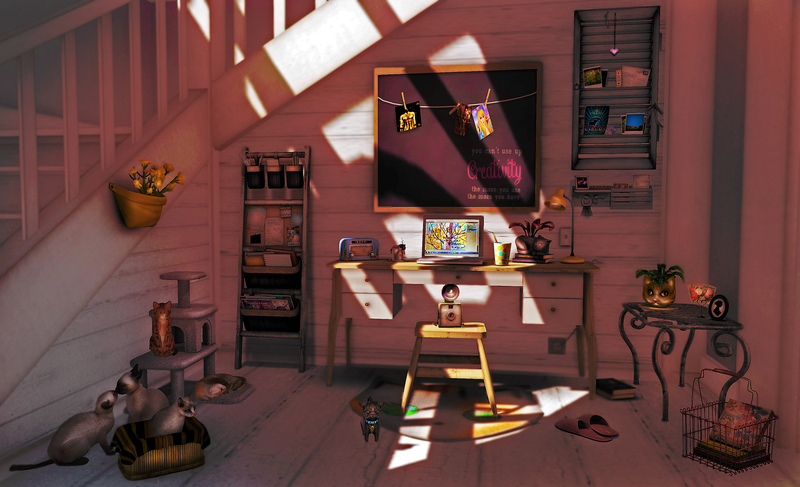 As a content creator myself I often look on the work of some of SL’s mega designers with a mixture of envy and incredulity at what they’ve managed to create, such as big, heaving, bookcases stuffed with beautifully crafted volumes of texts, teddies and flowers and ornaments for just 1 LI…. how?!! I’ll keep working to refine my craft and maybe one day I will create a full house for under 10 LI … it is entirely possible, as my last cottage was only 66 LI so watch this space! Have a fabulous new week and please continue to support Homes & Gardens Expo and buy all of the 100% donations items to shore up the fund raising. Ps – I’ve created a new in-world group for my store… imaginatively called ‘Moco Homes Emporium’….To join visit the Ven River store you will receive an invite to sign up. I’ve not yet discovered a way to allow people to join an SL group directly from my blog but will keep looking. I’ll be sending out some group only freebies as a ‘welcome’ gift in the new few days so hurry before you miss out! Plus all new cottage releases will be offered to group members at a discount for a limited amount of time giving members some real savings. So become a Moco Homes Fanatic…what are you waiting for???! Previous Previous post: Home & Garden Expo ~ Atlantis Beach Cottage For Sale!